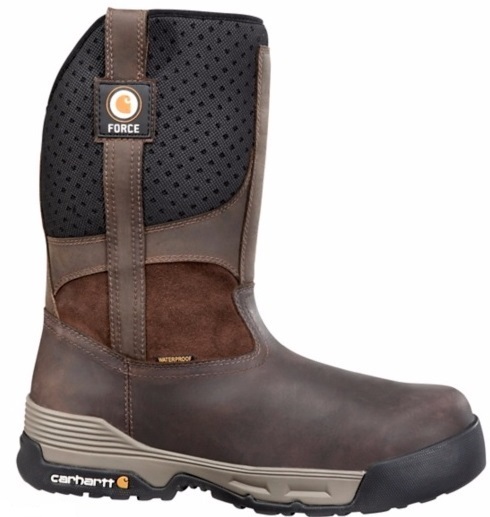 Force 10 Inch Brown Waterproof Pull On Boot from Carhartt. Men's Lightweight, Seat Wicking, Waterproof Breathable, Ortholite Insole, Composite Toe Work Boot. Stop through your workday in these tough but stylish boots. Carhartt has been the working man and working woman's choice for a mighty long time. Their craftsmanship and attention to detail has been the standard in the clothing and footwear industry for many years. Trust the voice that's been around since 1889.